Too many pedestrians get hit by cars. Every year there are many pedestrians injured by the negligence of others. Often, pedestrians are injured by drivers who failed to maintain a proper look out, failed to yield to a pedestrian, or were otherwise negligent. Even more disheartening is the fact that many children are often the victims of careless drivers. Children are unable to exercise the same reasonable ability as adults to prevent themselves from being hit by vehicles on the road. Because vehicles are traveling so fast and weigh so much more than we do, it is easy to see why vehicle accidents involving a pedestrians result in such high rates of serious injury and deaths. Those who survive these unfortunate accidents are often left with severe injuries, medical bills, and other damages that can be long term and very costly. A Utah pedestrian injury attorney at SLF can help you through the process of bringing a claim for your injuries through the courts. 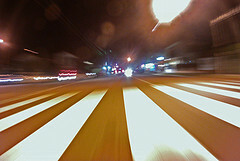 If you have been injured as a result of a negligent driver, we can help. Pedestrian Accident in Utah? We can help. 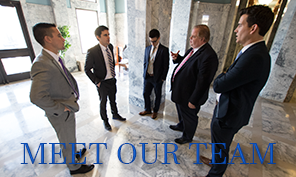 At Salcido Law Firm, we have the dedication and experience to give you the effective representation you deserve. We are willing to go the distance to see that you receive fair compensation for your injuries. The Salt Lake City pedestrian accident lawyers at our office know true value of your case and how much you have suffered, we can help. If you or someone you love has been injured in a car versus pedestrian accident and you feel you may have a claim, do not delay and contact a Utah pedestrian injury attorney at our firm today. You will see how by meeting with us how we will be able to help you through this difficult time. Our personal injury attorneys are caring yet aggressive so we can get the job done to make sure you get the maximum compensation. We can be reached anytime at 801.413.1753 or toll free at 888.337.3235. or by email.